Another local being very ACTive in the past months is AEGEE-Kraków, which organised a Regional Training Course (RTC) about start-ups and investing. We spoke to Mateusz Gierczak, President of the local and Coordinator of the RTC, to find out more about what this Polish local did, does and will do! AEGEE-Kraków is quite a big local. We have around 100-120 members, of which 50-60 are really active. We organise around 20 local and European activities during a year. A lot of them are training courses, but we also organise events like the Eastern Partnership Convention, Y Vote Convention and of course a Summer University. You organised a Regional Training Course about start-ups and investing, called ‘On the Way to Financial Freedom’, which is the reason you were chosen as ACTive Local of the Month. Can you tell us more about this event? 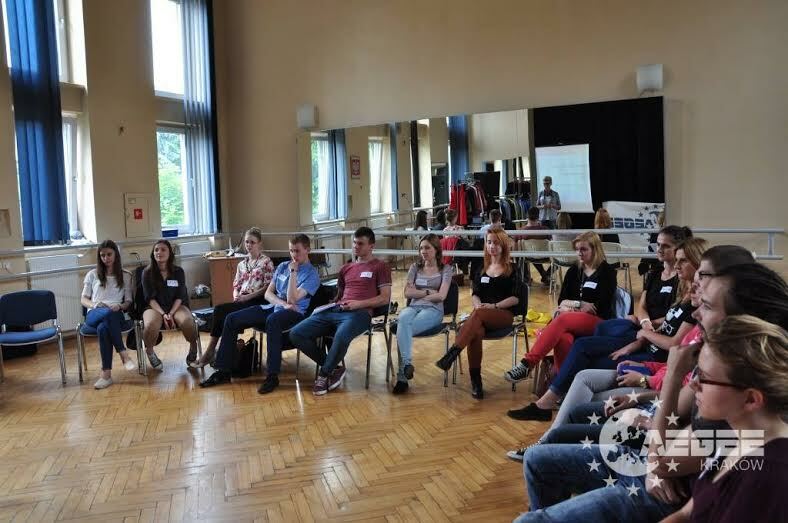 The Regional Training Course was an international event for all members of AEGEE. During a five days long event, participants were given the opportunity to improve their knowledge about entrepreneurship, investments and financial intelligence. Moreover, students attending the event also learned how to establish and run their own business. They got to meet professional, experienced entrepreneurs and discuss with them about what is most important in running your own business. How did you decide on this activity? Actually, the former board decided on it. During one of their board meetings they were talking about the activities they could organise in Kraków. They wanted to create something new, something our local never did before. 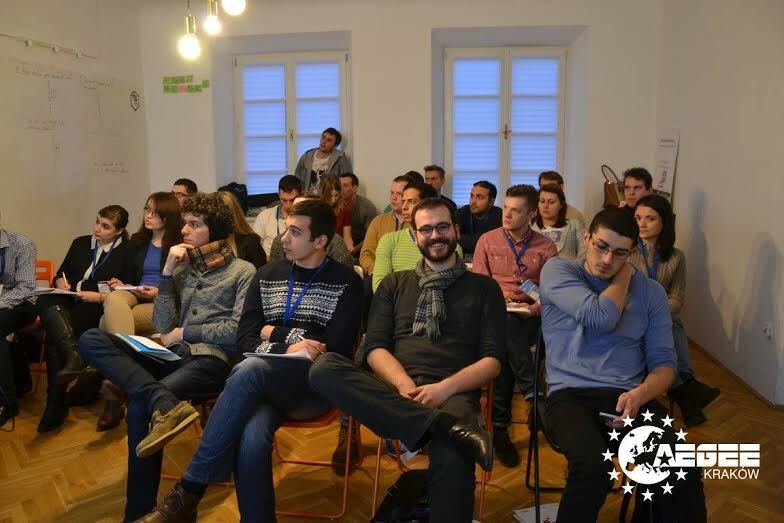 When they took into consideration the projects of AEGEE-Kraków they understood that there were not many events related to Youth Unemployment. So, they decided that it’s something we have to take care of, especially, because the topic is included in our Action Agenda. What is more, they figured that this part of our interests is quite forgotten by the antennae. The last thing they had to do, was to think about the way of organising this kind of event: a conference? Discussions? Some courses? The best way was to combine all of these activities and create a Regional Training Course open to people from all over the network, where participants can get some knowledge and discuss their opinions with people experienced in the topic. What is interesting for AEGEEans, who are young people ready for the challenges? How to set up their own business. The RTC was not the only event implementing Action Agenda you organised in the past months. Can you tell us more about them? I think that almost all of our activities are implementing the Action Agenda, so they are around 20 each year. I will not tell you about all of them but I would like to mention the most interesting ones. First off, the Language Conversations. This is a project where we connect with students who would like to be a teacher of some foreign language in the future or just enjoy speaking in a certain foreign language. They are teaching other students their favourite language for free, just to get some experience. Every semester we have around 300-400 places for these courses and last time we had almost 2000 applications! That is really incredible. Secondly, we have the Let’s Get Better project. Through this project we organise free training courses for students from all over Kraków. The fields of courses is very varied, so we organise soft skills but also workshops on how to use Microsoft Excel. Each course is open to a group of 10-30 students, depending on the topic. We organise around 3-4 training courses every month. Last but not least, we organise Perfect Speaker, which is a three days long project where we organise workshops and training courses on public speaking. Here, people learn how to deliver a good presentation, how to use gesticulation and mimics als how to manage with stress. It’s also open to students and free. The first thing is not to be scared. Many antennae think that it is impossible to organise a good event without special experience, which is not true. If you have an idea and a few people who want to work together, that’s everything you need. European projects like the Eastern Partnership Project are not very difficult, because you have substantive support from a content team. If you want to organise a training course, don’t be afraid to ask trainers in your city if the want to do it for free. You can offer them an advertisement on your Facebookpage. Usually, they don’t want anything, because they like to do it. Think also about what is already popular and where people would like to go. After that, just plan it well and pull everything together! The satisfaction you will get after the realisation is really worthy your effort! If you don’t know how to do it, don’t hesitate and write us. We will help you with pleasure! Sure. We are thinking about new activities connected to entrepreneurship and civic education. We are not sure exactly when and what it will be, but certainly you will get to know about it! AEGEE-Kraków has certainly shown the Network that it can be an example to other locals. What would you say to other locals that want to be as awesome as you? As I said before: don’t be afraid to be awesome and set up awesome projects! If you have great ideas and you have a few people to help you – just start to realise the ideas. If you are not sure how to do it, ask or try to find a good way. Even if you are still not sure, try to do it on your own way. You will make it better or worse, but next time you will be smarter. Remember that you can always ask for help. 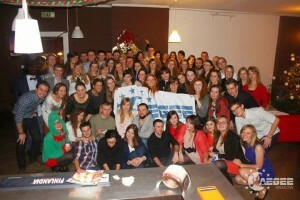 In AEGEE, we are one big family and we know we can rely on each other. If one of us needs help, we will always give a hand. After all you will be incredibly satisfied that you managed to organise this great project and people will come, and say “Thank you”, as they said to us after the RTC. Finally, you will see how much did you learn by that, how much you developed and you will realise how much you can learn in future projects. You have great potential and each of you can be as awesome as you would never even imagine! Use your potential and create great projects with great AEGEE-Spirit!